Demon, Wise & Partners serves classic cocktails showcasing a selection of the world's best spirits. Surrounded by the grandeur and history of the City it was impossible not to acknowledge this, so we aimed for a sumptuous feel with subtle hints of decadence. Importantly, we maintained a distinctly feminine element – a nod to the growing role of professional woman in the City's present and future. Eclipsing a traditional, masculine history in the local drinking establishments. The décor is warmly striking in burnt sienna, copper, and gold colour scheme. The centrepiece is a unique hand-made copper bar top fronted with a distressed, studded design, completed by Brixton Retrograde. 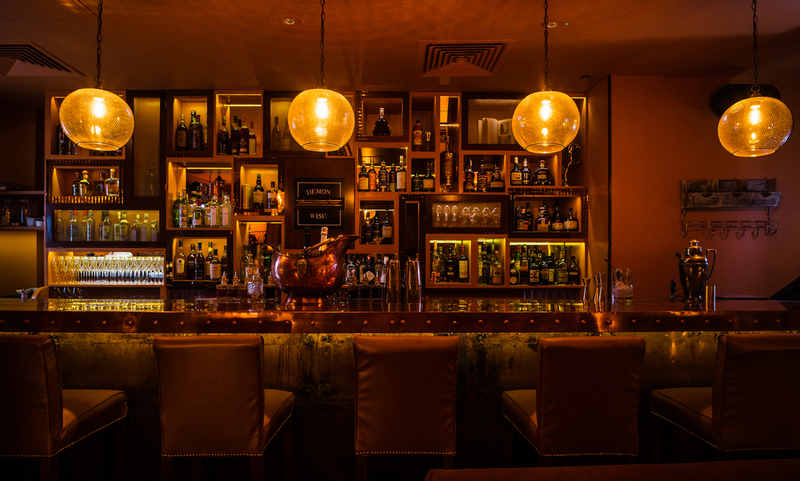 The back bar incorporates illuminated boxes containing the spirits, together with copper mosaic tile details. 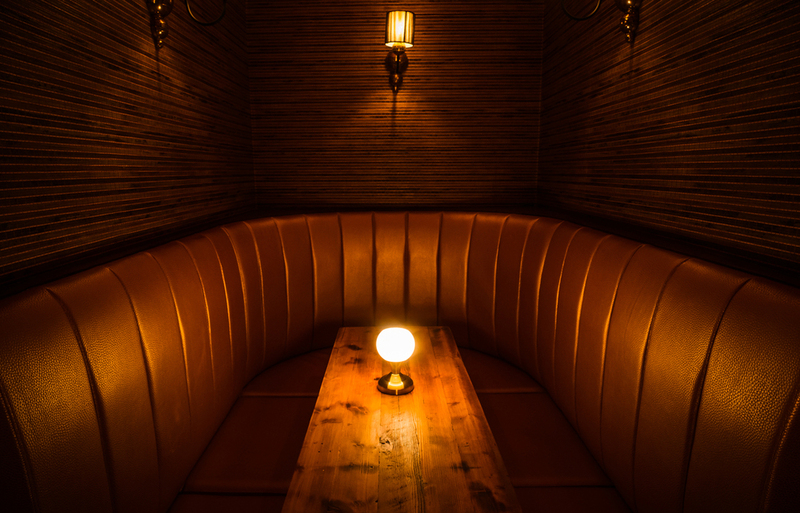 A section of the ceiling was raised to incorporate hanging rusted ‘bauble’ lights, with warm LED lighting used to highlight the raised section.